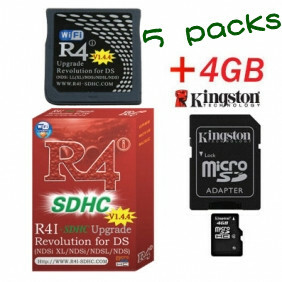 5 x R4i-SDHC V1.4.5 cards. 5 x USB Micro SDHC (TF) reader/writers. 5 x Kingston 4GB Micro SDHC (TF) Cards.